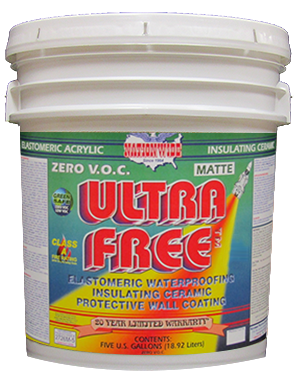 ULTRA FREE™ MATTE is a Zero V.O.C., bright white, matte finish, ELASTOMERIC acrylic, insulating ceramic, protective waterproofing wall coating. 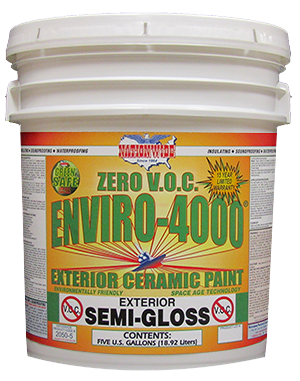 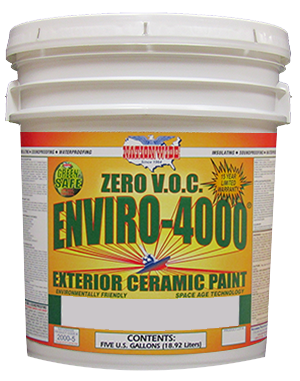 An ELASTOMERIC acrylic, latex based, high build formula that provides waterproofing, insulating, and soundproofing performance in a beautiful protective finish. 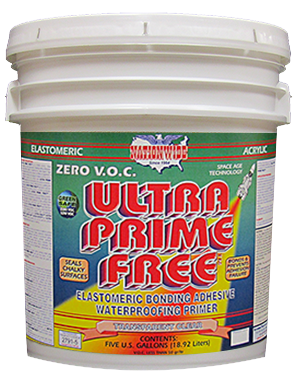 Innovative ELASTOMERIC resin technology results in an extremely durable, waterproofing elastic film that has excellent resistance to thermal shock by expanding and contracting with hot and cold temperatures, but also has good impact resistance and excellent chemical resistance. 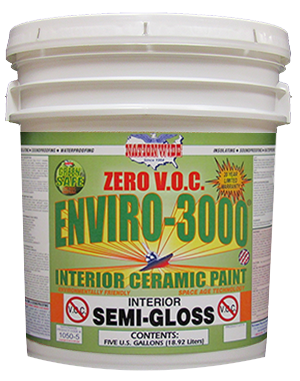 When applied according to specifications, ULTRA FREE™ MATTE offers a 20 year limited material warranty.